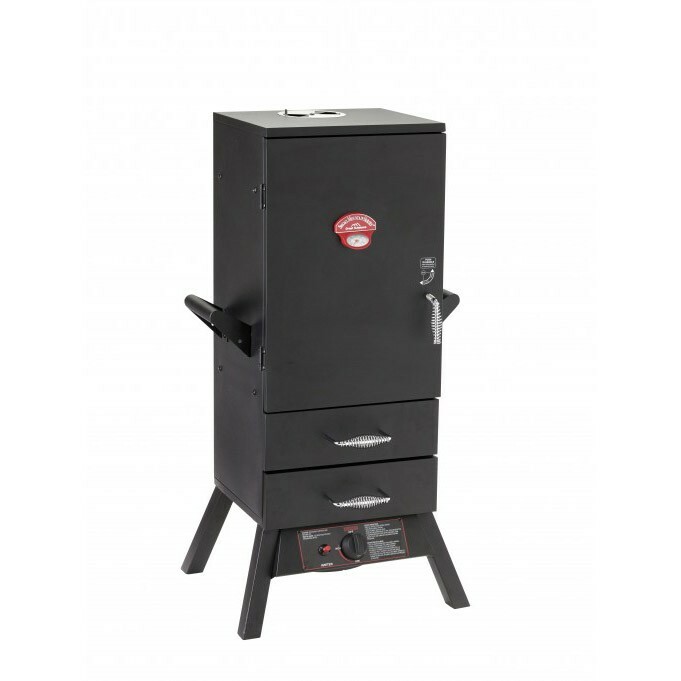 This gas smoker is one of the most popular smokers in the Landmann USA range. This model enables you to smoke food over longer periods without the need to top up with fuel (most smokers use charcoal not gas). This model comes with a water / drip tray to keep the food moist and hooks for hanging fish. With a large smoker cabinet this gas smoker is more versatile than charcoal smokers and we expect this to be very popular with barbecue connoisseurs. Please note this item may be delivered on a non returnable wooden pallet to ensure it is delivered safely.